Having lived on the shore of the Sound my entire life, I thought I knew most of the terminology about this particular marine environment. But I’d never heard of a king tide. Perhaps it was a misprint – could be the writer meant spring tides, or to say something about tides in King County, which borders the Sound. But after seeing three mentions from various news agencies I turned to Google. King Tide is simply an Australian term for an extremely high tide. Ah ha, so what we have here is another invasive species. That’s a joke of course. I actually like adding new useful words to my vocabulary. * Though this one seems just a little fluffy. Extreme high tide strikes me as a fine description of what’s happening. Besides, we did away with that whole king thing a while ago. Linguistics, semantics and primogentiture aside, this is a good time to head to the beach with the camera. Actually, any time is a good time for water photos, but around the world, municipalities, kingdoms and states are watching these extreme high tides for clues to what may happen as sea levels rise due to climate change. And they’re looking for help. 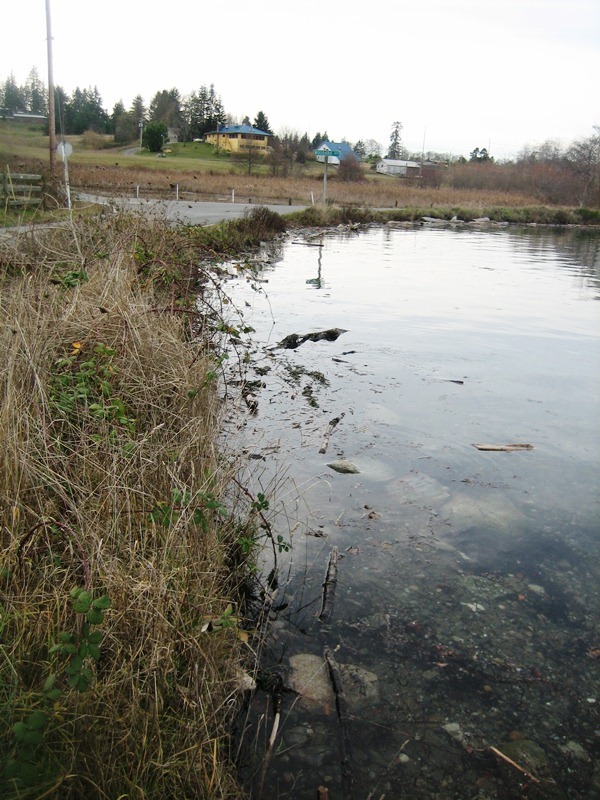 Washington’s Department of Ecology is asking citizens to share photos of very high tides in their areas. You can see and share your photos on Washington King Tides Photo Initiative’s Flickr Group. Other West Coast states and British Columbia are hosting Flickr Extreme High Tide photo sharing sites too. But they’re insisting on calling them King Tide sites. Whatever, share those photos. *What I won’t add is “the” to Puget Sound. I want everyone to stop saying that. There is no such thing as the Puget Sound, it’s just Puget Sound, okay? We don’t say the Mount Rainier, don’t say the Puget Sound.